Donald Trump said San Francisco 49ers quarterback Colin Kaepernick should “find a country that works better for him” after the NFL player’s national anthem protest. Colin Kaepernick, 28, said he will continue to sit out the national anthem until he sees improvements in US race relations. The Republican presidential nominee weighed in on Colin Kaepernick’s decision to sit during The Star-Spangled Banner in a pre-game ceremony. “I think it’s a terrible thing, and you know, maybe he should find a country that works better for him,” he told KIRO radio in Seattle. 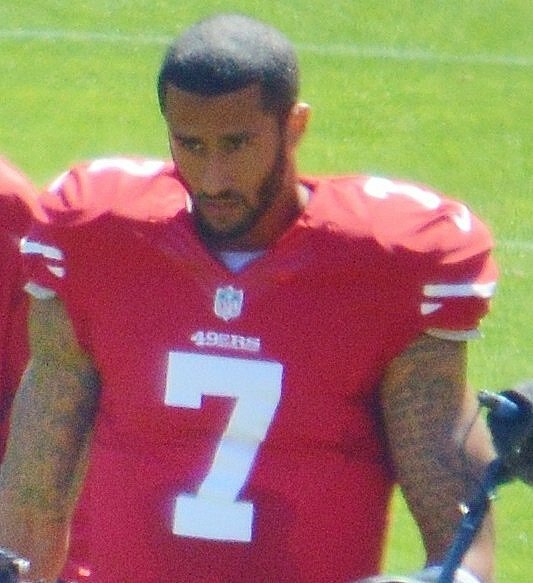 Colin Kaepernick stirred controversy on August 26 when he sat during the national anthem before the 49ers played the Green Bay Packers in an exhibition game. He refused to stand in protest at the oppression of people of color in the US. Racial tensions are mounting in the US, where a string of recent police killings and subsequent revenge killings have sparked protests across the nation. Colin Kaepernick’s actions have ignited a debate about respect, patriotism and the right of free speech. The White House said it disagreed with Colin Kaepernick’s protest but that he had a right to express his views. An NFL spokesman said players were “encouraged but not required” to stand during the anthem.